Darwin is the capital city of the Northern Territory of Australia. With a population of 121,000 people Darwin is not a large city. 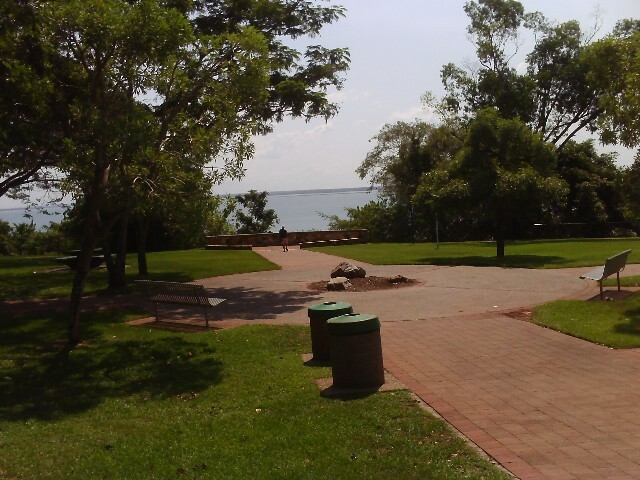 Darwin's central Business District is a few streets including Mitchell St, Cavenagh St and McMinn Street, bordered by the Bicentennial Park overlooking Darwin harbour. Darwin has a tropical climate with day time temperatures reaching around 32 - 33 degrees all year round. The Visitors Information Centre is located on Tiger Brennan Drive, close to the Harbour. Darwin was attacked in World War II by Japanese bombers on the 19th February 1942. Darwin Cup Carnival Horseracing at Darwin Turf Club. July - August 2010. RSPCA Million Paws Walk. Sunday 16th May 2010. At the University of Queensland St Lucia. Bring your pet dog, go for a walk and raise money for the RSPCA. There are a few Foreign Currency Exchange offices on Mitchell St in Darwin open 7 days a week. Last updated 23rd March 2010. 1. Visit Crocosaurus Cove. See and swim with crocodiles up close. Located in the heart of Darwin on Mitchell St. And yes the swimming is safe as you are surrounded by a glass cage! 2. Take one of the many tours starting in Darwin to go visit Kakuda National park. 3. A visit to the Darwin Botanical Gardens, just 10 minutes from the main town centre. 4. Go feed the fish at Aquascene Doctor Gully Darwin. 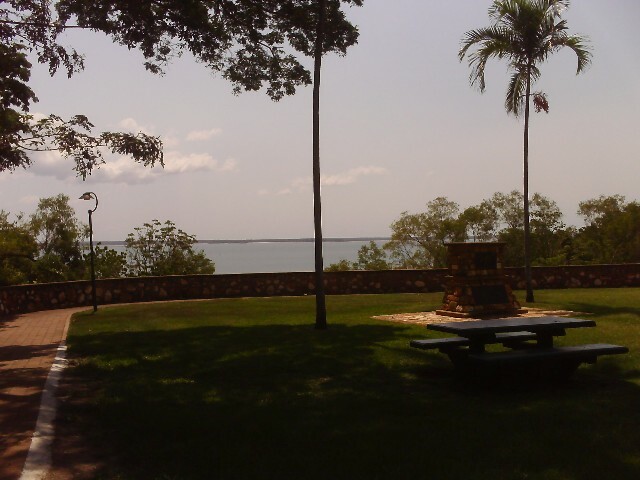 Located right at the top end of Bicentennial Park in Darwin. Feed and touch a number of different species of fish including milkfish, bream, catfish, mullet and barramundi. 5. Visit the Tiwi Islands (Melville and Bathurst Islands) just 80km off the coast of Darwin. Some great Aboriginal arts and crafts, tropical rainforests on the islands. 7. Visit the Mindil Beach Sunset Markets. Open every Thursday through to Sunday May to October. 8. A round of Golf on the Gardens Park Golf Course. 9. Watch the horse racing at the Darwin Turf Club. 10. Sit at any of the cafes, restaurants and pubs and wonder why you came to Darwin in the first place!